experiences of victims of crime with damage recovery.1 It examines the steps taken by ... Marnix Hebly, researcher at the Utrecht Centre for Accountability and Liability ..... of thousands of Euros and then they call it a 'civil case' and do nothing. Apr 11, 2005 - terterrorism's list of Foreign Terrorist Organizations.10 Since this order ..... groups, for instance non-profit institutions like charitable foundations. those of a chthonic life, and the human person is generally not ... Circles of Consensus â The Preservafion of Cultural Diversity through Polifical Processes. 1. 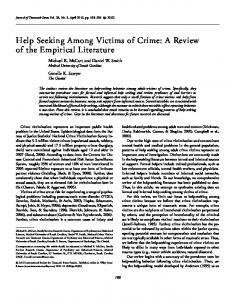 Introduction This article describes and discusses the results of an exploratory qualitative study regarding the experiences of victims of crime with damage recovery.1 It examines the steps taken by crime victims to obtain compensation, their considerations in whether or not to follow different legal ‘pathways’ and their actual experiences in their attempts to obtain compensation for their losses. This study offers a unique insight into Dutch ‘law in action’, as experienced by this group of victims. First we will briefly review the increasing attention for victims’ compensation in the Netherlands (Section 2), after which we will give a brief overview of the legal pathways to compensation in the Dutch law system (Section 3). Then, we will focus on the present study; first by presenting the study design (Section 4), followed by some sample characteristics of the group of respondents (Section 5) and finally the qualitative results of the current study, with some reflections of the authors (Section 6). 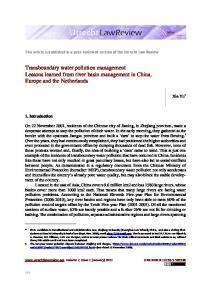 Finally, we will make some concluding remarks on this (type of) research (Section 7). International attention for the improvement of the position of victims of crime is illustrated by European Directive 2012/29/EU establishing minimum standards on the rights, support and protection of victims of crime. Although the position of crime victims is gradually improving, questions have risen about the consequences of the measures taken and whether (and how) the rules and facilities can be improved even further. 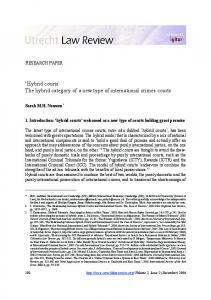 Regarding the Dutch legal system several studies have been conducted regarding crime victims. 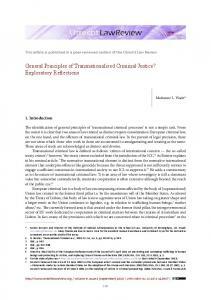 Recently, Schrama and Geurts investigated the role and importance of civil proceedings for victims of crime, for which they explored the ‘legal roadmap for compensation’ and the actual (quantitative) use of the various pathways.2 They also identified problems in civil proceedings as a route for damage redress. They explored these issues by interviewing experts, lawyers and judges. However, they did not approach the crime victims themselves. The present study, as described in this article, focusses on the victim’s experiences, and concerns not only the experiences with civil proceedings, but also covers the other legal pathways for compensation. The current study aims to add a victim’s perspective to existing research and knowledge on damage recovery, a perspective that should not be overlooked if the scope of policy is especially aimed at improving their position. a civil tort), ultimately by conviction by a civil court (whether or not in line with previous criminal proceedings in which the criminal court has been unable to award the claimed damages). This very basic picture of the legal pathways to compensation should allow the reader to understand the qualitative findings that will be presented below. Although we could give a much more comprehensive description of each different route for compensation, we believe that this is not necessary: our intention is to give an impression of victims’ experiences as we recorded them. 4. Research design and sample characteristics 4.1. Semi-structured in-depth interviews and preselection The sample of the current study consists of 36 in-depth personal interviews. Our victims were approached by using a file of individuals who had already participated in victim’s surveys before and who had expressed their willingness to participate in future studies. These victims were assisted by the victim support organisation (Slachtofferhulp Nederland, SHN) in 2010 and 2011. These are victims that were not (or not entirely) reimbursed (yet), which indicates a certain preselection: victims who had been fully compensated were not included in the file. Letters were sent to the participants with an application form: 106 out of 178 forms were returned and 85 people declared their willingness to participate. 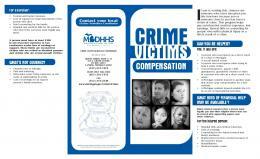 On the application form, respondents were asked to tick the compensation route(s) that they had attempted. On this basis, the respondents were classified in four ‘main routes’ for compensation: (i) joinder as injured party in criminal proceedings, (ii) settlement via police or public prosecutor, (iii) the Compensation Fund and (iv) claimants in civil proceedings.5 Initially, a proportional distribution of respondents over the four categories was aimed for, so the victims were selected for interviews on the basis of what they had stated in the application form as being ‘their’ route. Several interviews, however, revealed that respondents regularly filled in the wrong route, often wrongly assuming that they had initiated civil proceedings whereas in fact they had joined criminal proceedings as an injured party. While conducting the interviews it became clear that the vast majority had actually followed this route and there seemed to be a shortage of respondents in each of the other categories. To address this, the lack of respondents that had actually attempted to reach a settlement via the police or the public prosecutor was overcome by directly approaching a claim’s representative from the police; extra respondents who had initiated civil proceedings were sought through the researcher’s connections with specialized law firms. In the end, the first category consists of 18 respondents, the other three categories of six each. Moreover, the distinction in these four different routes only gives a rough picture of the pathways explored within this sample, as in most cases several routes were attempted simultaneously or sequentially. 4.2. Sample characteristics We will now describe some sample characteristics that we were able to record on the basis of the interviews. The type of offence respondents had been faced with varied considerably (see Table 1). It should be noted that the researchers had to rely on the respondent telling the story from his/her own (layman’s) perspective; the interviewers then attributed the legal qualification (by interpreting the type of offence). Where possible, the interviewers checked the legal classification of the offence in the documents that were present at the interview. The most common offence of which the interviewees had become a victim was burglary (10 cases), followed by the category of simple assault (8 cases). This study does not regard private (first-party) insurance as one of the main routes; experiences with this route were nevertheless recorded by way of ‘by-catch’. 4.3. Which routes were (relatively) successful? Table 3 shows how often certain types of damages had been paid per recovery route, in whole or in part. It shows the number of cases in which respondents had some success in financially recovering the type of damages. For seventeen respondents in the sample, there was no compensation at all. Also here, the researchers legally qualified and classified the losses mentioned or suggested by the respondents: financial loss (property damage, personal injury and purely economic loss) and immaterial damage. J.D.W.E. 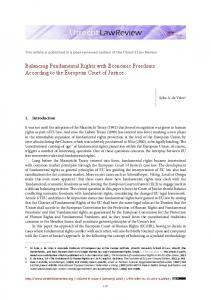 Mulder, Compensation, the victim’s perspective, dissertation Tilburg University, 2013, pp. 81 and 111. In the Dutch language, we have an expression similar to ‘one can’t squeeze blood from a stone’, which can be roughly translated as ‘one can’t pick feathers from a bald chicken’, but many speakers also refer to frogs: ‘one can’t pick feathers from a frog’. Regardless of what animal the speaker prefers to enter the scene, the meaning will be clear: you will never get anything from someone who has no possessions. See R.M.E. Huver et al., Slachtoffers en aansprakelijkheid, een onderzoek naar behoeften, verwachtingen en ervaringen van slachtoffers en hun naasten met betrekking tot het civiele aansprakelijkheidsrecht, Deel I, Terreinverkenning, WODC 2007, pp. 81 et seq. See J.H. Wansink, ‘Assurance Oblige: de maatschappelijk verantwoord handelende verzekeraar in de 21e eeuw’, AV&S 2003, p. 50 and J.H.Wansink, De algemene aansprakelijkheidsverzekering, 2006, p. 273. 10 Remarkably enough, the Slachtoffermonitor (a Dutch large-scale quantitative victim survey) seems to have a somewhat more nuanced outcome: most of the surveyed victims expressed predominantly positive experiences with the treatment by the prosecution services, although they also mentioned that improvements could be made by giving clearer information on what these victims are entitled to. 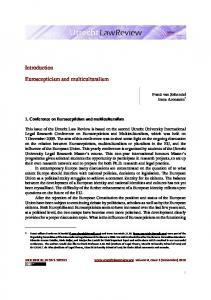 See M. Timmermans et al., Eerste meting slachtoffermonitor. Ervaringen van slachtoffers met justitiële slachtofferondersteuning: Deel 2: Openbaar Ministerie, Rechtspraak & Slachtofferhulp Nederland, WODC 2013, pp. 21-34. 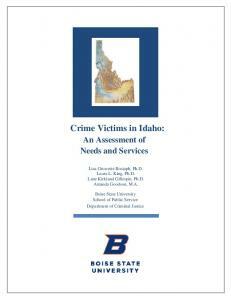 Report "Crime Victims' Experiences with Seeking ... - Utrecht Law Review"